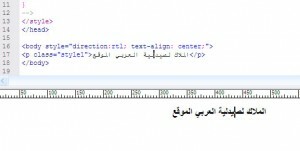 If you’ve tried to design a site in languages other than English, I am sure you must have felt like I do whenever I try to design a site whose language is Arabic. Most of the coding languages, software, tools, and even the tutorials assume that you’re designing in English and using a left-to-right writing direction, and thus if you’re doing otherwise, you’re in big trouble. 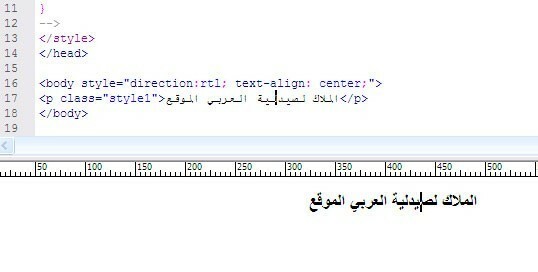 To appreciate what I mean, try opening Dreamweaver and enter some text in Arabic to find it flowing in the wrong direction, which makes it almost impossible to select or edit that text later on! Things become even worse, if you decide to include English and Arabic text on the same line! Hoping to see a good and reliable solution for this some time soon to enable designers to create professional looking web sites with ease. Actually I don’t have idea what kind of web design does arabic have but I only suggest that when you are struggling in designing your website, you should consult for a good company.